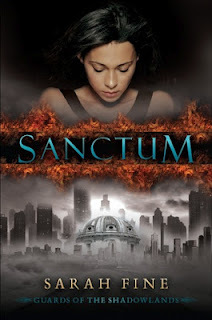 Today I have Sarah Fine, author of soon-to-be-released Sanctum, on the blog to talk about her writing process! Sanctum is the first in the Guards of the Shadowlands series. To learn more about it, click here. 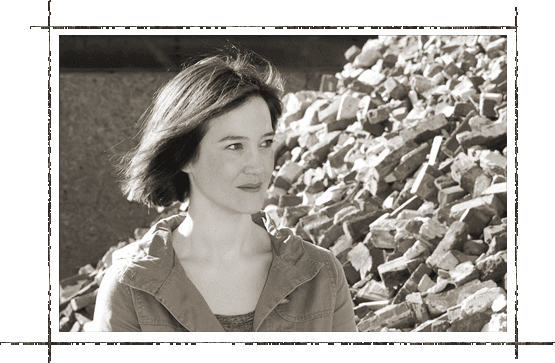 When I was asked to write this post, I had to think carefully about how I do things, how my habits have evolved and crystallized over time. At first, I thought: I don’t have a process! I just write stuff! But then I realized that’s not true. I most definitely DO have a process even though each book I write feels a little different. When you toss all my crazy ways in a pot and boil off the detail, there’s a pretty clear pattern. When the passion is there, I write somewhere between 20-40 pages a day. (Note: I type really fast. It’s the only way I survived graduate school while being a hopeless procrastinator.) I’ve written some of my books in a matter of days. It’s the most ecstatic feeling ever. It’s addictive. I adore it. It’s like flying. Sanctum took about eight weeks to write, but the last third of it only took me two weekends, which shows what happens when I get excited about the events that I have the privilege of weaving together. I’m not a strict outliner, but I always have some kind of synopsis (or several pages of chaotic notes and asides). However, I rarely refer back to it once it’s written, and the story often changes as I write it (but somehow, the ending never does). Whenever I sit down to write, I re-read several pages of what I’ve previously written. I tinker with it, editing as I go. Then I skip forward and map out what I’m going to get done. I’ll write a single sentence about what happens in the chapter, and then a phrase indicating how the chapter should end. (I started to do this after reading The Hunger Games, because Suzanne Collins’s chapter endings rocked my socks off.) Anyway, I usually do this about three chapters ahead. I estimate about ten pages per chapter. I decide what events will fit into that number of pages and where the scene breaks will be. Now that I think about it, I’m pretty calculated about the whole thing. So … for me, I guess Inspiration + Calculation = BOOK. There has to be a little of both: I need the wild, frenetic swoop of creativity in my gut as well as the rational, well-organized scaffolding provided by my prefrontal cortex. When I have adequate amounts of both, when those things are in balance, that’s the sweet spot, the place where I write my best stuff. It isn’t always like that, of course, but when it is … well. That’s why I write. That's awesome, Sarah! Thanks so much for sharing! Sanctum will be out on Tuesday. For a chance to win a copy of the book, fill out this form! But dang, what a great process. What you don't mention, Sarah, is just how fast you are at editing. I'm still in shock at how fast you can write and edit a book. You can finish three books in the time it takes me to finish one. 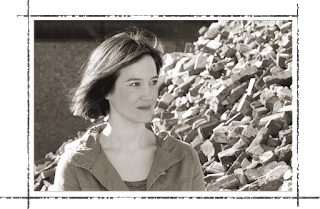 Dear Compulsive Reader: THANK YOU for hosting me on your blog!